Hey girls I’ve missed you. Come back! I don’t like tapioca, corn starch and rice flour, because of the effect on the sugar levels in blood. Therefore, it’s hard to make a good blend. 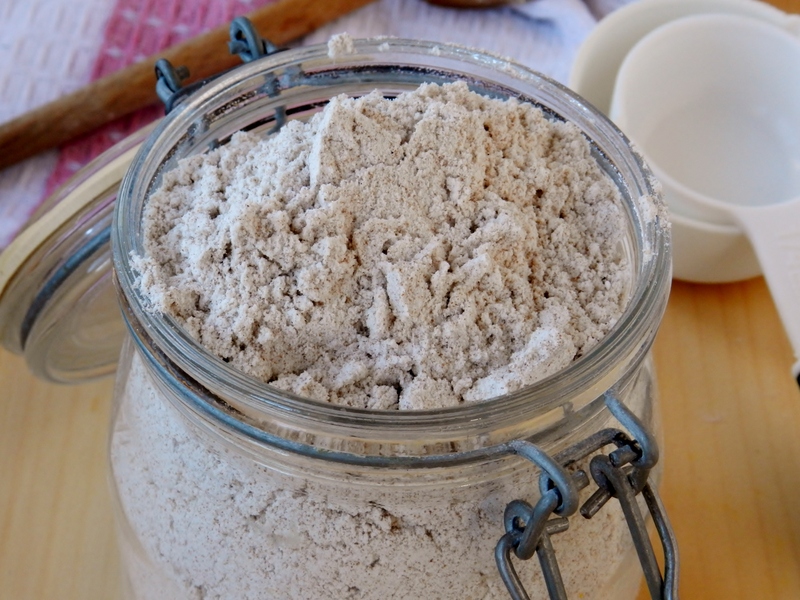 I am experimenting with buckwheat, arrowroot, coconut flour and almond flour. And lately also hemp flour. I don’t know teff very well – I will check out whether you have recipes with it. Other suggestions? 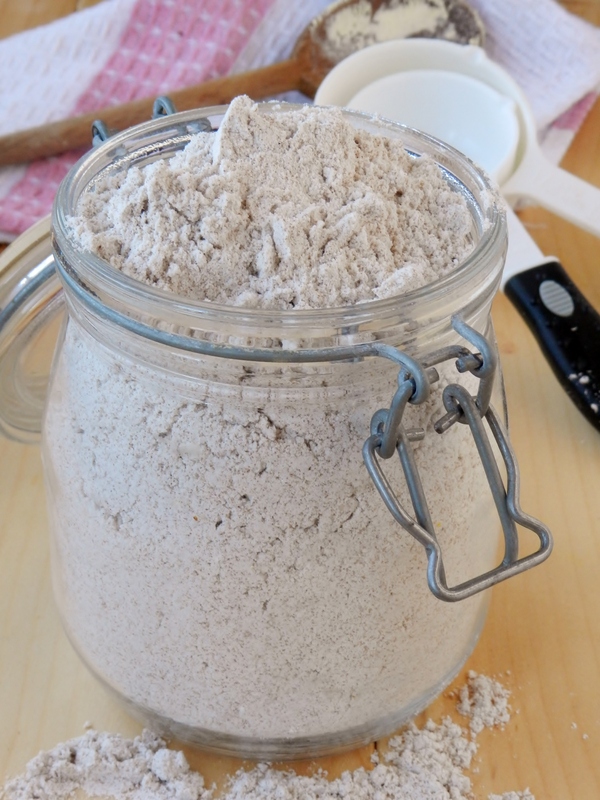 We really like buckwheat flour as well, although we didn’t include it in this blend because its kind of dark and has a bit more of a noticeable flavour that we didn’t want in an all-purpose kind of flour. 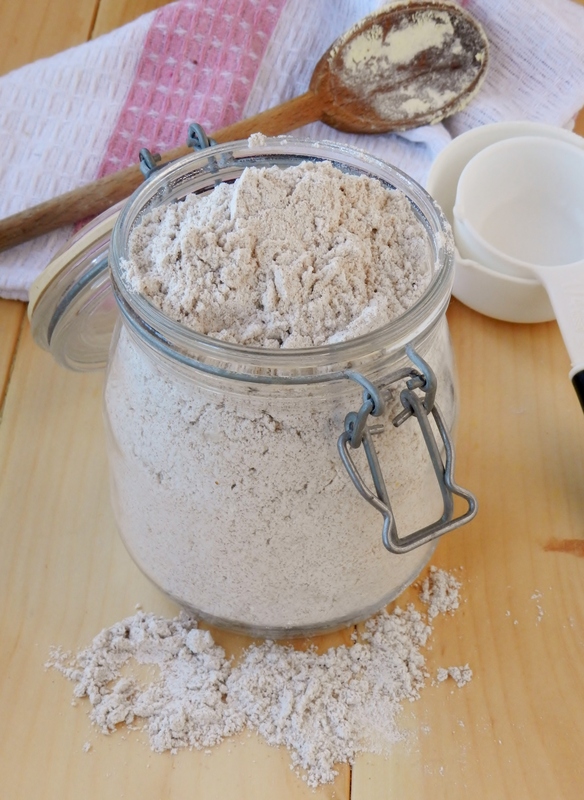 If you can find gluten-free oat flour, that works really well, too! Thanks for replying. Do you mean oatflour instead of tapioca and starch? 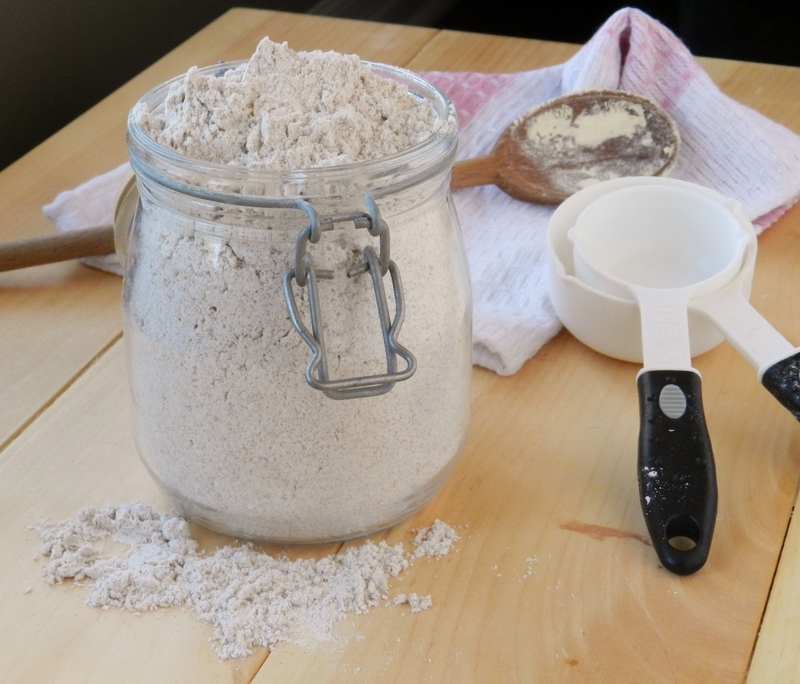 I don’t know if I would use oat flour completely in place of those 2 flours, but you could substitute some of it. I missed you but I am glad to have you back posting when it’s convenient. I hear you, I’m not even a varsity athlete and I’m having difficulty blogging while in school. When I’m not studying I am doing a reading or in class, and between I’m either eating, exercising or sleeping. It’s hard to set time aside to make meals look appealing and when you could be writing an essay it’s hard to justify blogging. I’m not gluten free but I do know a few people that have been testing it out so I’m definitely going to pass this along. I hope you turn this flour into cake. I’ve only ever made oat flour before. Neat! You two are so creative. Hope the meet went well in Montreal. You could always blog about pre-post fuel eats or even a running update unless you are trying to keep your blog more recipe oriented?! I know that I enjoy learning about your life and living vicariously through your exercise regime! Just no nuts – Maybe with Pumpkin or Ginger/Nutmeg/Cloves since it is the Fall?!! 🙂 All else fails chocolate is yummy!